Campbells is pleased to announce that Mark Goodman has been admitted to the partnership as of 1 April 2015, as part of the firm’s overall growth plan for its rapidly expanding litigation, insolvency and restructuring practice. A highly experienced commercial litigator, Mark joined Campbells in 2013 after having worked in the London office of a leading national firm and subsequently a boutique commercial firm. 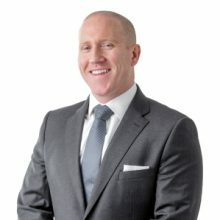 Mark specialises in insolvency and investment fund litigation and has specific experience with regard to distressed investment fund scenarios, acting for funds, their directors, liquidators and other service providers in a wide range of multi-jurisdictional disputes and crisis situations. The group acts for local and overseas insolvency professionals, creditors, investors, directors and other professional service providers in connection with all aspects of the restructuring and winding up of companies, investment funds, limited partnerships and structured finance entities. Our 17 litigators have the experience and strength in depth to handle the largest and most complex liquidations and restructurings. We have specific experience in coordinating cross-border appointments, obtaining injunctions, assisting with gathering evidence and obtaining recognition and assistance from overseas courts.